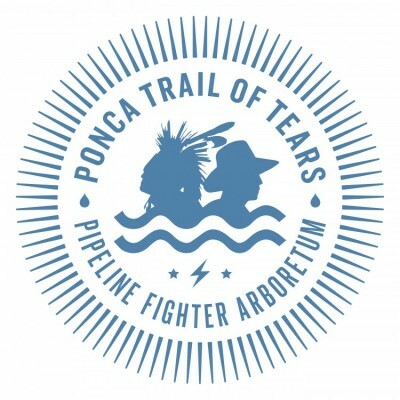 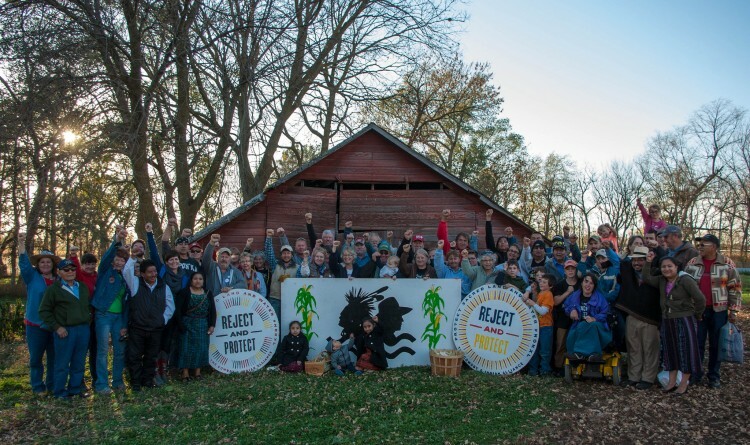 Join us on Saturday, Oct. 8 for the third annual harvest of Sacred Ponca Corn “Seeds of Resistance” that the Cowboy & Indian Alliance planted on land that lies in the path of where the Keystone XL pipeline would have gone, that also crosses the historic Ponca Trail of Tears. 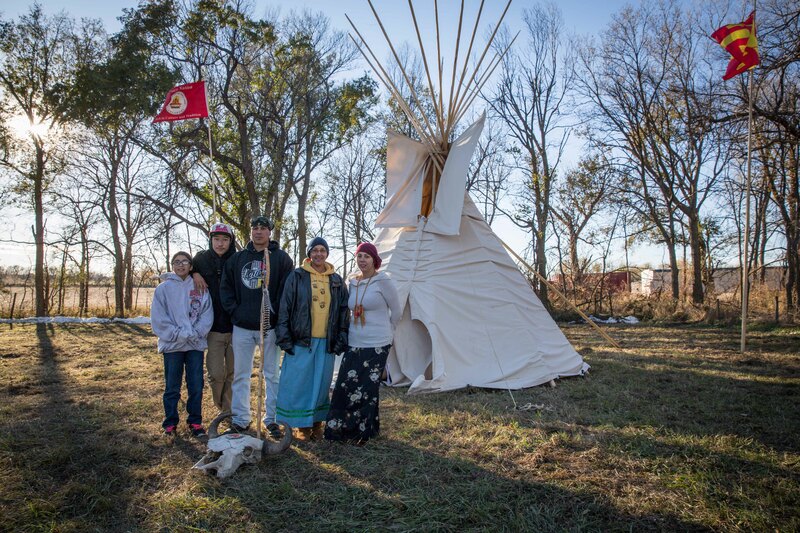 Bring a rock from your family’s land with you, because we’ll also be creating a rock Medicine Wheel on the farm that includes a custom 3-foot rock engraved with the image at right, created by Justin Kemerling. 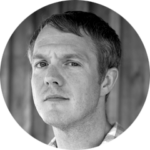 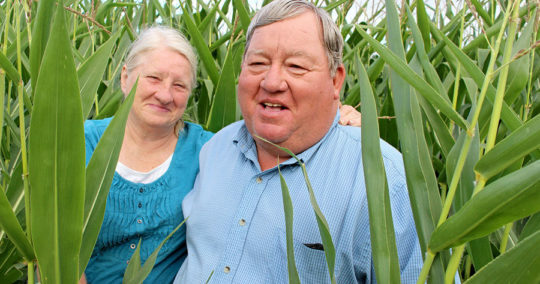 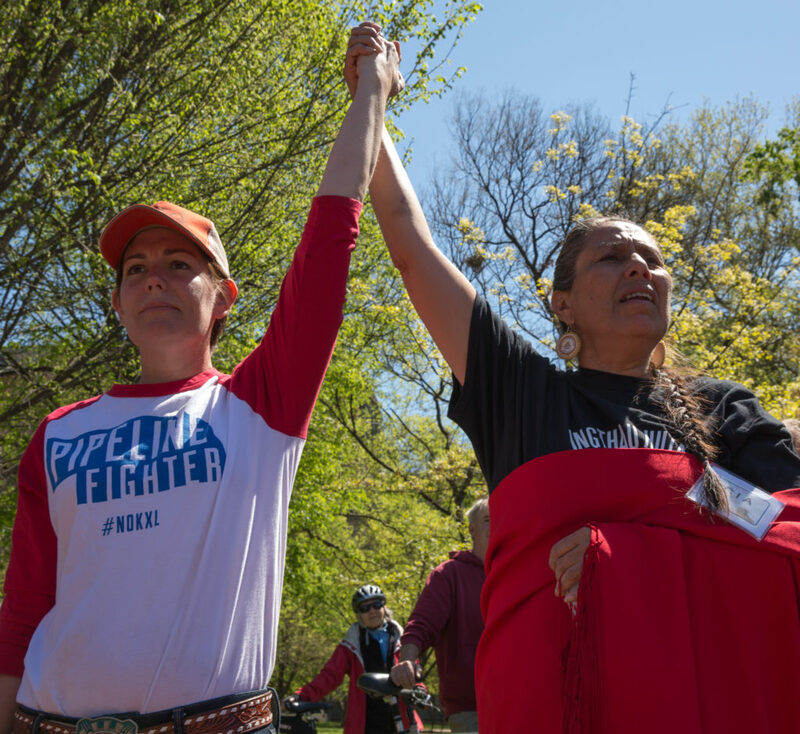 We’ll also dedicate a Pipeline Fighter Arboretum that’s been created on the Tanderup farm. 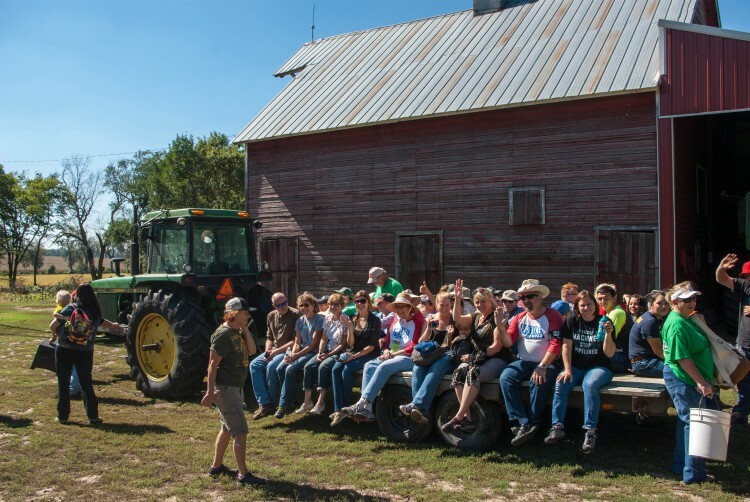 WHEN: Saturday, Oct. 8, 1:00 p.m. – 7:00 p.m.
RSVP: Please RSVP on the form below and share on Facebook. 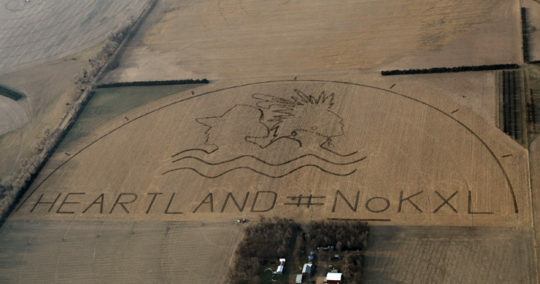 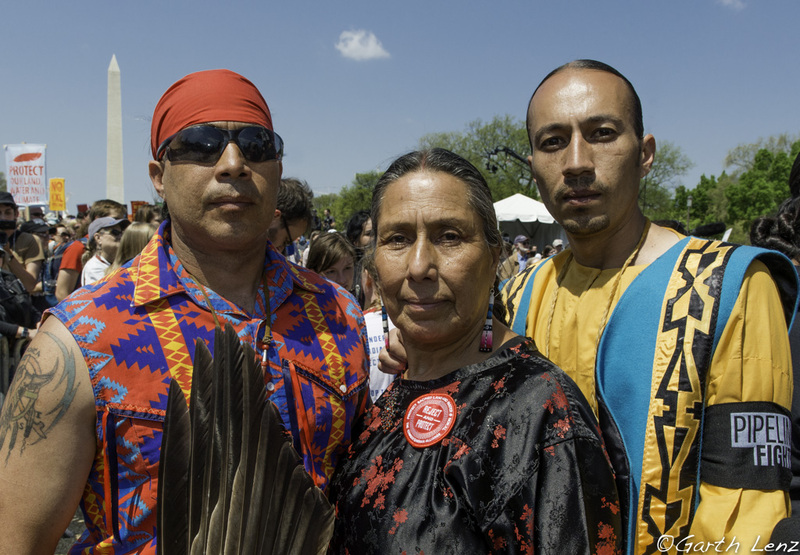 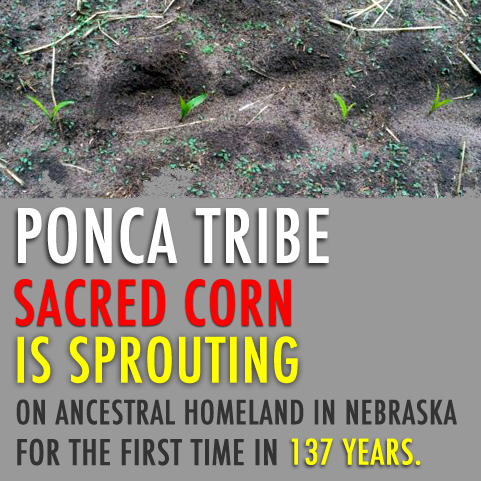 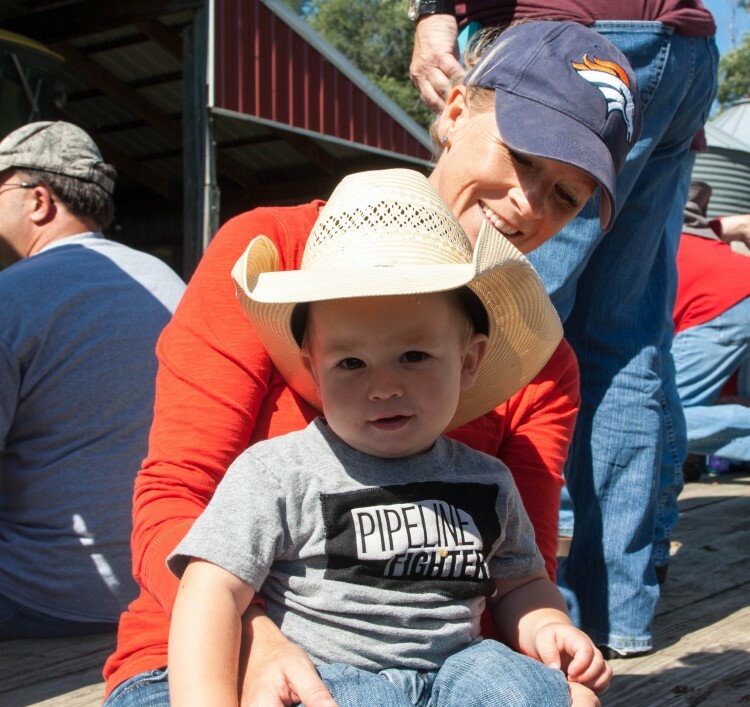 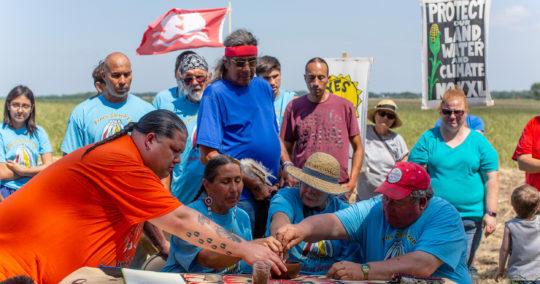 Last weekend, members of the Camp family from the Ponca Nation of Oklahoma returned to their ancestral homeland in Nebraska for a second year to plant rows of sacred Ponca “resistance corn” on Art and Helen Tanderup’s farm in Neligh — this land also lies directly in the path of the proposed Keystone XL pipeline and is sacred ground to the Ponca. 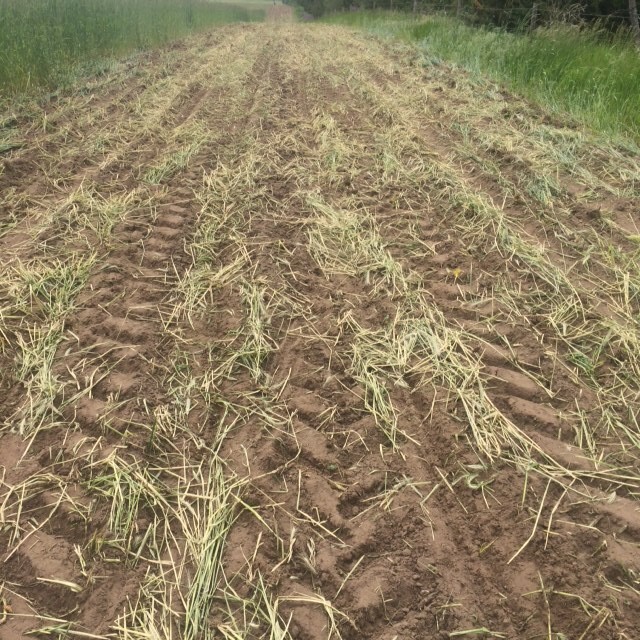 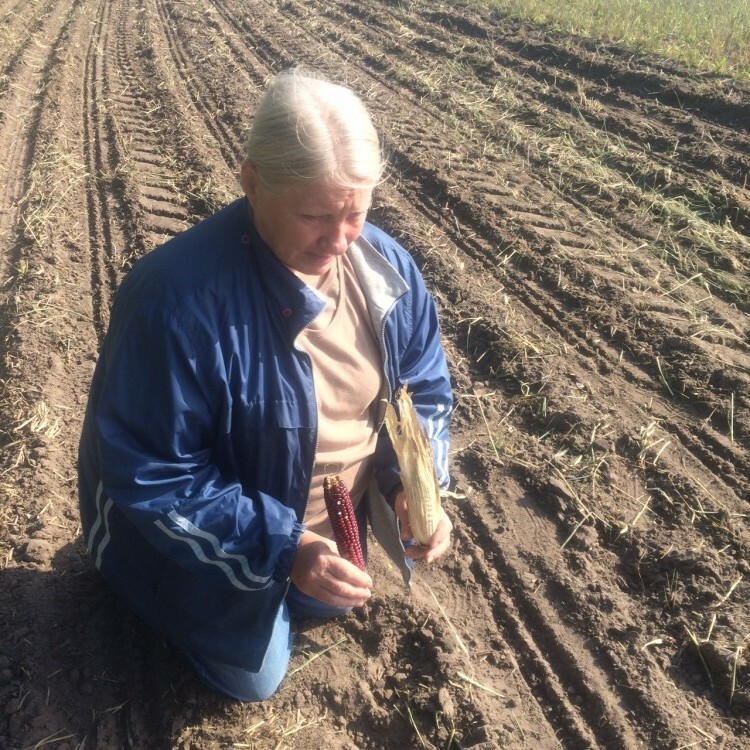 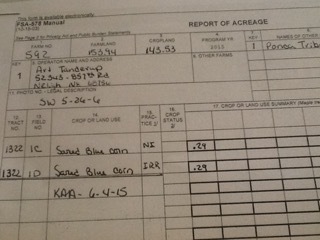 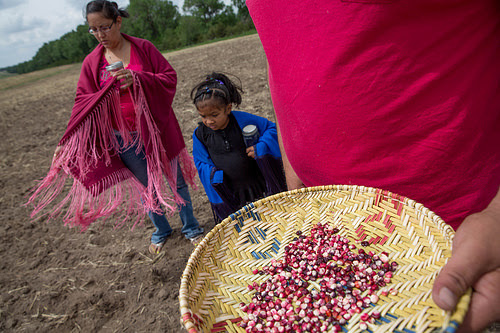 Helen Tanderup in the field with sacred Ponca red corn from last fall’s harvest.